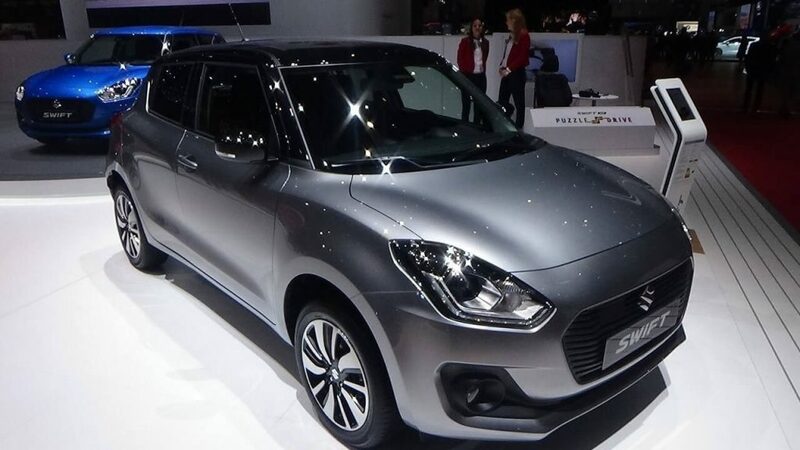 Suzuki Swift 2019 1000 CC is expected to introduce in June 2019. It is the part of the 4th generation of the Suzuki Swift. However, fourth generation was introduced in 2019. Just have a look at some key details about the variants, colors, and specifications of Suzuki Swift 2019 1000 CC. Suzuki Swift 2019 1000 CC is based on the high safety ratings. It also has an enough boot space for the hatchback. In addition, it also has a big leg space capacity and well equipped with different kind of driving features. Burning Red, Mineral Grey, Pure White, Fiery Red, Silver Metallic, Super Black Pearl, and Blue Metallic are the available colors. Suzuki Ignis, Toyota Aqua, 2019 Toyota Vitz, and Honda Fit 2019 are among the competitors of Suzuki Swift 1000 cc 2019. Compare all models of Suzuki SWIFT 2019 Price in Pakistan; explore 2019 Suzuki SWIFT Hatchback specs, images (exterior & interior), videos, consumer and expert reviews. Suzuki SWIFT 2019 features include transmission type (automatic/ manual), engine cc type, horsepower, fuel economy (mileage), body type, steering wheels & more. The most economical price Suzuki SWIFT 2019 model is the SWIFT DLX 1.3 Navigation at PKR 1,555,000 and the most expensive model is the SWIFT DLX Automatic 1.3 Navigation at PKR 1,691,000. Currently (2) Suzuki SWIFT 2019 model variations are (Suzuki SWIFT 2019 DLX 1.3 Navigation, Suzuki SWIFT 2019 DLX Automatic 1.3 Navigation) available in all cities (Karachi, Lahore, Islamabad, Quetta, and Peshawar etc.). I Really liked this Suzuki swift post keep it up looking for more great posts like this. Launch now why are waiting for 2019 is going on. New shap is excellent. I was purchasing wagon r when see the back door glasses r manual so I change my mind and suddenly I watched on net new shap of swift its amazing but price in 1500000 to 1505000 but in auto gear system u can increass a bit otherwise it will beat every car of this levels cars but as early as possible..